I want to prove you that Barack Hussein Obama is lying and Osama bin Laden is dead since 2001. 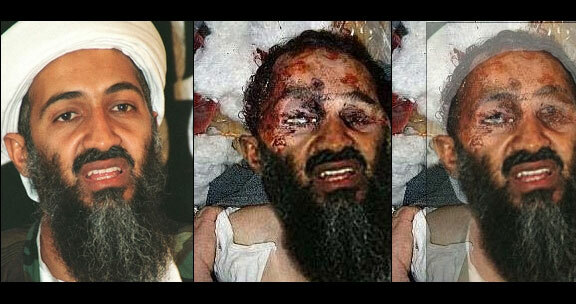 But before going further, please allow me to present you the real Osama bin Laden and his connections to CIA and the Bush family. 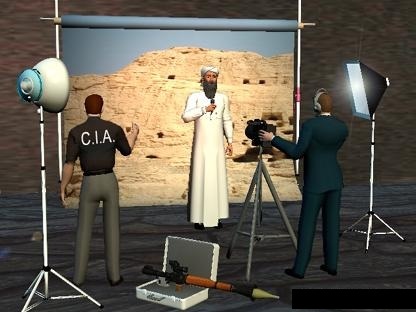 This image of Bush Bin Laden cracks me up every time. “We should revisit the history of BCCI, a bank used by the legendary Palestinian terrorist known as Abu Nidal. BCCI was closely tied to American and Pakistan intelligence. Its clients included the Afghan rebels, and the brother of Osama bin Laden, Salem. Further details of the business and financial relationships between the Bush and bin Laden family are found in Peter Brewton’s 1992 book The Mafia, CIA and George Bush. BCCI, incidentally, was founded by a Pakistani. 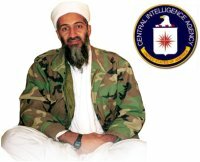 Economics Professor Michel Chossudovsky of the University of Ottawa has just completed a detailed history of bin Laden’s career detailing his secret funding and logistical support to terrorist organizations beginning from his early CIA-supported roots in the 1980s as a “freedom fighter” through to the present day. 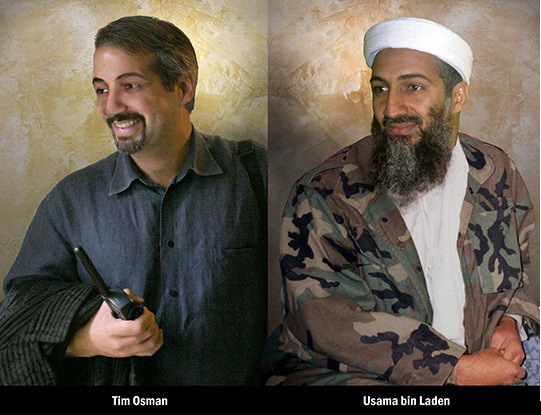 Tim Osman (Ossman) has become better known as Osama Bin Laden. “Tim Osman” was the name assigned to him by the CIA for his tour of the U.S. and U.S. military bases, in search of political support and armaments. 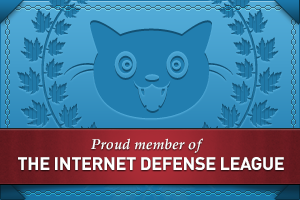 […] There is some evidence that Tim Osman … visited the White House. There is certainty that Tim Osman toured some U.S. military bases, even receiving special demonstrations of the latest equipment. Why hasn’t this been reported in the major media? I know this image is photoshopped and Tim has a white hand. Prime suspect in the New York and Washington terrorists attacks, branded by the FBI as an “international terrorist” for his role in the African US embassy bombings, Saudi born Osama bin Laden was recruited during the Soviet-Afghan war “ironically under the auspices of the CIA, to fight Soviet invaders”. With the active encouragement of the CIA and Pakistan’s ISI [Inter Services Intelligence], who wanted to turn the Afghan jihad into a global war waged by all Muslim states against the Soviet Union, some 35,000 Muslim radicals from 40 Islamic countries joined Afghanistan’s fight between 1982 and 1992. Tens of thousands more came to study in Pakistani madrasahs. Eventually more than 100,000 foreign Muslim radicals were directly influenced by the Afghan jihad. In March 1985, President Reagan signed National Security Decision Directive 166,…[which] authorize[d] stepped-up covert military aid to the mujahideen, and it made clear that the secret Afghan war had a new goal: to defeat Soviet troops in Afghanistan through covert action and encourage a Soviet withdrawal. The new covert U.S. assistance began with a dramatic increase in arms supplies — a steady rise to 65,000 tons annually by 1987, … as well as a “ceaseless stream” of CIA and Pentagon specialists who traveled to the secret headquarters of Pakistan’s ISI on the main road near Rawalpindi, Pakistan. There the CIA specialists met with Pakistani intelligence officers to help plan operations for the Afghan rebels. Predominant themes were that Islam was a complete socio-political ideology, that holy Islam was being violated by the atheistic Soviet troops, and that the Islamic people of Afghanistan should reassert their independence by overthrowing the leftist Afghan regime propped up by Moscow. BBC’s killer documentary called “The Power of Nightmares“. Top CIA officials openly admit, Al-qaeda is a total and complete fabrication, never having existed at any time. The Bush administration needed a reason that complied with the Laws so they could go after “the bad guy of their choice” namely laws that had been set in place to protect us from mobs and “criminal organizations” such as the Mafia. They paid Jamal al Fadl, hundreds of thousands of dollars to back the U.S. Government’s story of Al-qaeda, a “group” or criminal organization they could “legally” go after. and was perhaps the most important financial backer of Presidential Candidate Bill Clinton. It’s a small world, isn’t it?! In the November 02, 2007 interview with David Frost, Benazir Bhutto was asked about the previous attempt to assassinate her in October. Her response is well worth a second listen in the wake of her death. It seems that Ms. Bhutto suspected the involvement of Pakistan’s security services and told President Musharraf as much. Less than two months after this interview, on December 27th 2007, Bhutto was assassinated while leaving a campaign rally for the PPP at Liaquat National Bagh, where she had given a spirited address to party supporters in the run-up to the January 2008 parliamentary elections. After entering her bulletproof vehicle, Bhutto stood up through its sunroof to wave to the crowds. At this point, a gunman fired shots at her and subsequently explosives were detonated near the vehicle killing approximately 20 people. Bhutto was critically wounded and was rushed to Rawalpindi General Hospital. 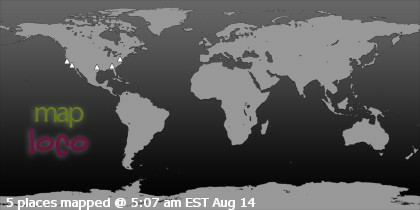 She was taken into surgery at 17:35 local time, and pronounced dead at 18:16. In his book “Osama Bin Laden: Dead or Alive?”, the political analyst and philosopher Professor David Ray Griffin, former emeritus professor at California’s Claremont School of Theology, it is provoking shock waves – for it goes into far more detail about his supposed death and suggests there has been a cover-up by the West. The book claims that Bin Laden died of kidney failure, or a linked complaint, on December 13, 2001, while living in Afghanistan’s Tora Bora mountains close to the border with Waziristan. His burial took place within 24 hours, in line with Muslim religious rules, and in an unmarked grave, which is a Wahhabi custom. To understand Griffin’s thesis, we must remember the West’s reaction to 9/11, that fateful sunny September day in 2001. Within a month, on Sunday, October 7, the U.S. and Britain launched massive retaliatory air strikes in the Tora Bora region where they said ‘prime suspect’ Bin Laden was living ‘as a guest of Afghanistan’. Although he called President George W. Bush ‘head of the infidels’ and poured scorn on the U.S., he once again rejected responsibility for 9/11. Then came a second videotape on November 3, 2001. Once again, an ailing Bin Laden lashed out at the United States. He urged true Muslims to celebrate the attacks – but did not at any time acknowledge he had been involved in the atrocity. And then there was silence until December 13, 2001 – the date Griffin claims Bin Laden died. That very day, the U.S. Government released a new video of the terror chief. In this tape, Bin Laden contradicted all his previous denials, and suddenly admitted to his involvement in the atrocity of 9/11. 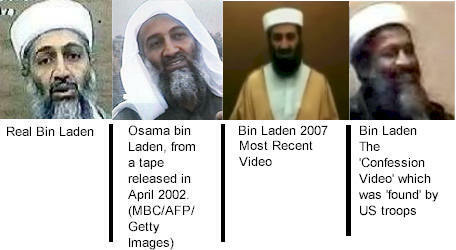 In this recording, bin Laden is a weighty man with a black beard, not a grey one. His pale skin had suddenly become darker, and he had a different shaped nose. His artistic hands with slender fingers had transformed into those of a pugilist. He looked in exceedingly good health. Furthermore, Bin Laden can be seen writing a note with his right hand, although he is left-handed. Bizarrely, too, he makes statements about 9/11 which Griffin claims would never have come from the mouth of the real Bin Laden – a man with a civil engineering degree who had made his fortune (before moving into terrorism) from building construction in the Middle East. For example, the Al Qaeda leader trumpets that far more people died in 9/11 than he had expected. He goes on: ‘Due to my experience in this field, I was thinking that the explosion from the gas in the plane would melt the iron structure of the building and collapse the area where the plane hit and all the floors above it only. That is all we had hoped for.’ (In reality the Twin Towers’ completely fell down). The words of the true Bin Laden? No, says Griffin, because of the obvious mistakes. ‘Given his experience as a contractor, he would have known the Twin Towers were framed with steel, not iron,’ he says. ‘A reason to suspect that all of the post-2001 Bin Laden tapes are fabrications is that they often appeared at times that boosted the Bush presidency or supported a claim by its chief ‘war on terror’ ally, British Prime Minister Tony Blair. As for the matter of what happened to him, hints of Bin Laden’s kidney failure, or that he might be dead, first appeared on January 19, 2002, four months after 9/11. He would have needed to stay in one spot with a team of medics, hygienic conditions, and a regular maintenance program for the dialysis unit itself. ‘He suffered serious complications and died a natural, quiet death. He was buried in Tora Bora, a funeral attended by 30 Al Qaeda fighters, close members of his family and friends from the Taliban. By the Wahhabi tradition, no mark was left on the grave,’ said the report. 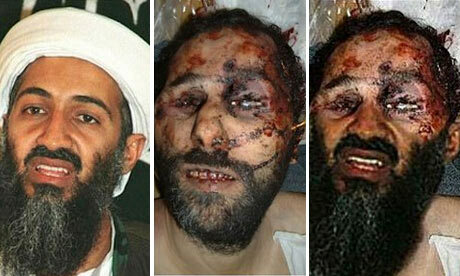 Osama bin Laden: FAKE Dead Body Picture! 100% PROOF! 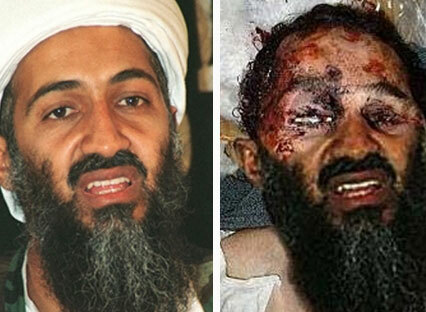 The picture of Osama bin Laden’s dead body shown of TV is fake! 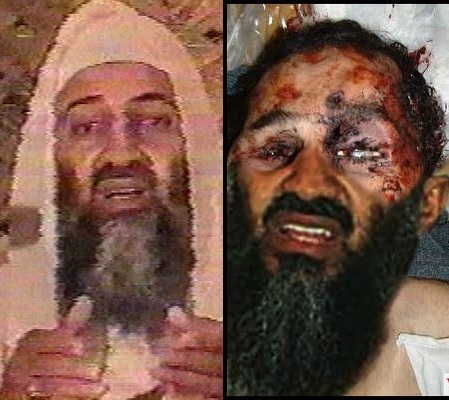 Someone used the following picture of still alive bin Laden and placed the lower portion of his face over the picture of a dead Iraqi. The forgery is more than obvious, even to the untrained eye. This entry was posted in Conspiracy, Politics and tagged assasination, Bush, CIA, hoax photo, Middle East, Obama, Osama Bin Laden, photoshop, psy-op, UBL. Bookmark the permalink.